XPSIM provides an intuitive and simple windows interface. 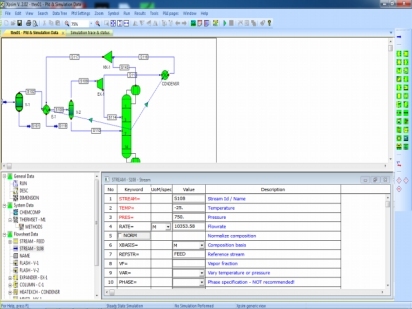 Similarly to other simulators the user can draw the process flow diagram and enter data. XPSIM interface allows an easy navigation through the process flow diagram also for large schemes. 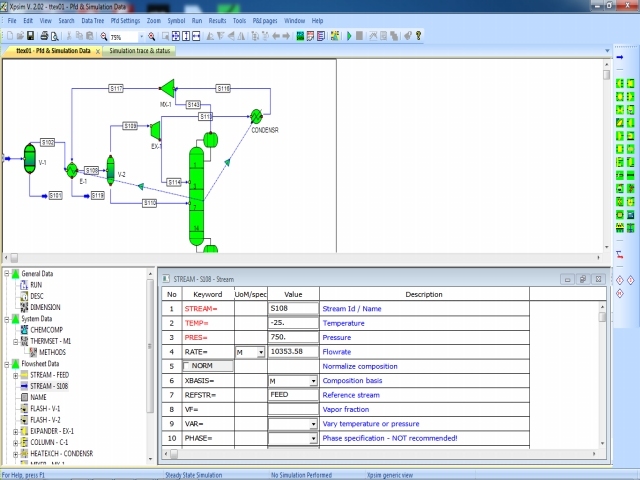 The user can locate data from the pfd or locate the pfd symbol from the simulation data tree. The pfd can be easily previewed and printed using A4, A3 or even larger page sizes.